Son of James Anderson b.1811 d.1897 and Eliza Murray d. 1890 aged 60. Married in 1894 Jessie Mina Innes d.1946, daughter of Surgeon-General Francis William Innes CB. M i Austin Innes b.1897. 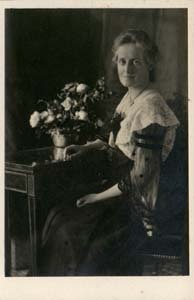 Married in 1925 Alison Royse Lysaght. F ii Mary Désirée b.1902. Author of 'The Mediaeval Carver' (Cambridge University Press, 1935); British women at war (London : John Murray & the Pilot Press, 1941); A saint at stake; the strange death of William of Norwich, 1144 (London, Faber and Faber 1964); Drama and imagery in English medieval churches (Cambridge University Press, 1963); The imagery of British churches (London : Murray, 1955); History and imagery in British churches (London, J. Murray, 1971); Misericords, medieval life in English woodcarvings (Harmondsworth, England: Penguin, 1954); etc., etc..
Married in 1935 George Trenchard Cox son of Wiliam Pallet Cox. Sir Hugh Kerr Anderson, scientist, artist, financial organiser, Knight, MD, MA. Educated Harrow 1880-4; Caius College Cambridge 1884; Scholar 1886-9; Treasurer Caius Musical Society; 1st Class Natural Sciences Tripos Part 1 1887; BA 1887; Tripos Part 2 1888, MA, MB, 1891; elected Fellow 1897; MD 1898; Director Medical Students 1898. University Demonstrator in Physiology 1899; Syndic of University Press 1906, Chairman 1918; FRS 1907. 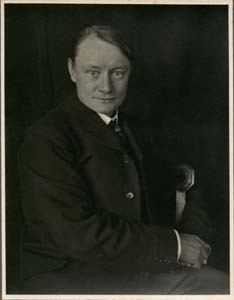 Member Medical Board 1907; member Financial Board 1908; Council of Senate 1910; Master of Gonville and Caius 1912 to his death; member Royal Commission on Oxford and Cambridge Universities 1919; member of Statutory Commission on Cambridge University 1922; Knight 1922; Governor of Harrow School 1922. Buried in Ascension Parish Burial Ground, Cambridge, England¹. ¹Email from Martin Packer received 09.32 29 December 2012.